The Bosch line of step drills offers 13 different hole sizes with a single bit. The step drill bits are ideal for electrical, plumbing and HVAC contractors. 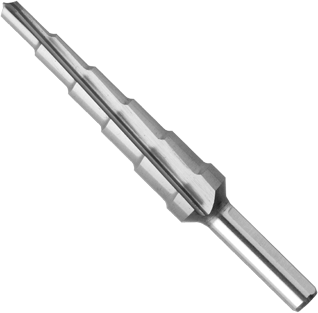 Typical step drill bit applications include electrical knockouts, running conduit, drawbolt holes, faucet installations, auto body work, running freon lines, edge boring steel and hollow doors.